Just a week after it claimed it was in pole position to take advantage of the National Broadband Network, and in the middle of “its biggest advertising campaign ever”, iiNet has confirmed it recently conducted a round of redundancies that predominantly hit its head office workforce. The job cuts come as iiNet has snapped up a number of competitors over the past several years. In July last year the telco bought AAPT’s consumer division for $60 million, and in March it was Netspace. Those two acquisitions, which were seen as bringing a substantial degree of consolidation to the local broadband market, followed the company’s buyout of fellow Perth-based ISP Westnet in mid-2008. It’s not the first time iiNet has quietly let a number of staff go. In mid-2009 news broke on the forums of broadband information site Whirlpool that iiNet had conducted a round of redundancies. The telco also didn’t disclose numbers at the time. Speculation is also active behind closed industry doors at the moment that iiNet is on the verge of shuttering the Westnet brand it has maintained since 2008, fuelled by the recent loss of former Westnet marketing manager Dan Scott. 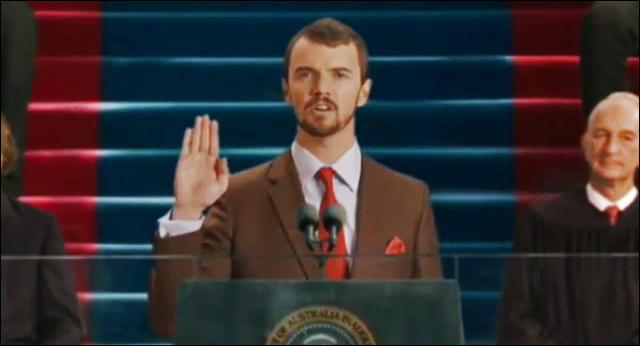 However, the iiNet spokesperson was adamant the Westnet brand would remain. News of the redundancies comes as iiNet has over the past week been extremely positive in public with respect to its expansion plans. Last week the company issued a press release stating it had launched “its biggest advertising campaign ever”, emphasising its position as the new number two ADSL broadband provider in Australia — taking the crown from Optus. The campaign will see the telco splurge on three different television commercials, in addition to a series of ads placed in printed and online press, as well as on radio and even on the sides of buses, billboards and hung from helicopters. An attempt would be made to reflect the iiNet brand’s “fun and outgoing nature”. The company has also recently hit the road to discuss its future prospects with investors, describing itself in a presentation as being “in the best possible position for the coming industry transformation”. Its latest financial results, published in August last year, suggest it was continuing to perform strongly, with revenue up 13 percent to $474 million for the year, and earnings up 20 percent to $80.7 million. Underlying net profit after tax was up 36 percent year on year. I wonder if Bob is still there. Shame they forgot about Optus’ Cable customers though eh? What’s this got to do with Optus’ Cable customers? Or are you saying they’re not including the cable customers in the customer count? Could this be a lame attempt at appeasing the market ahead of a profit downgrade? well if they are reducing costs then this would be a sign that ebitda is under stress. I thought they’ve got far too much going on. westnet and aapt. the big deal for iinet at the moment is whether they adopt the $100m+ aapt developed provisoning and billing platform hyperbaric/infonova. a billing system makes or breaks a company i’d imagine that the cost of migrated 1.3m customers into this system would be costly and a significant operation.